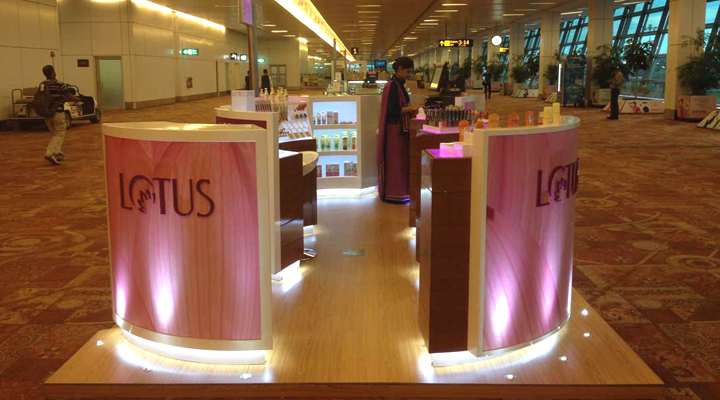 The brief was challenging on two counts – First, brand’s display re-positioning to suit palates of an extremely upmarket and international audience and Second, a space like T3 airport’s international departure terminal’s gates wing that had restrictions of height and ambient lighting. 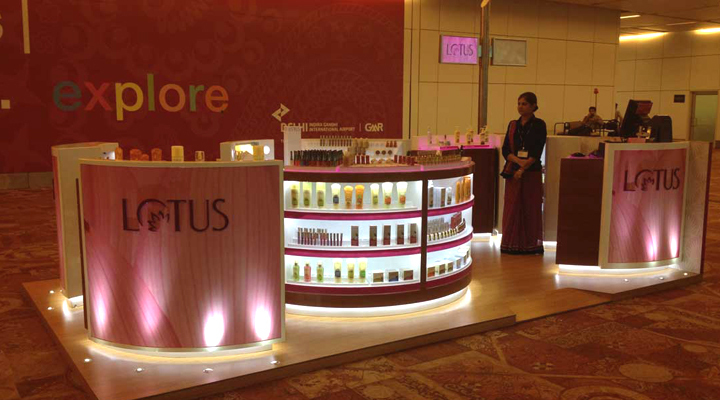 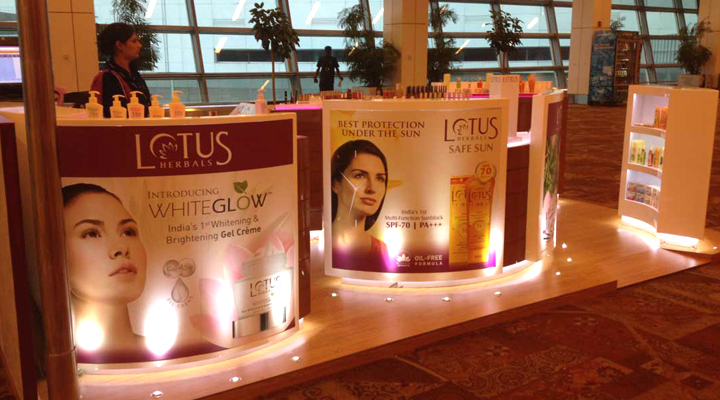 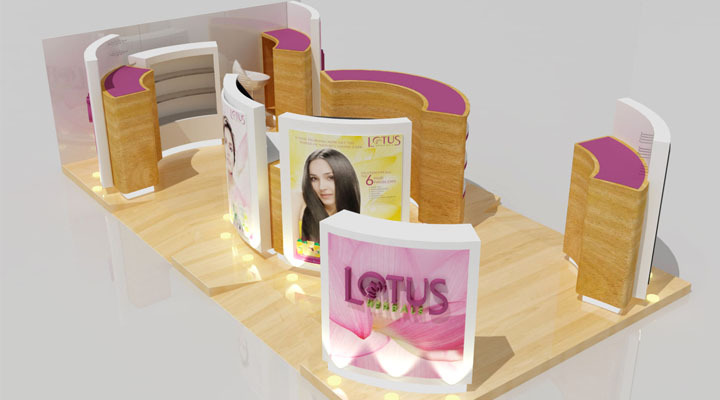 The kiosk was conceptualized as a’Lotus walk-through’ with the heavy makeover zone serving as the whorl and the brand’s other primary verticals (safe sun, white glow, skin care, etc) symbolizing the petals. 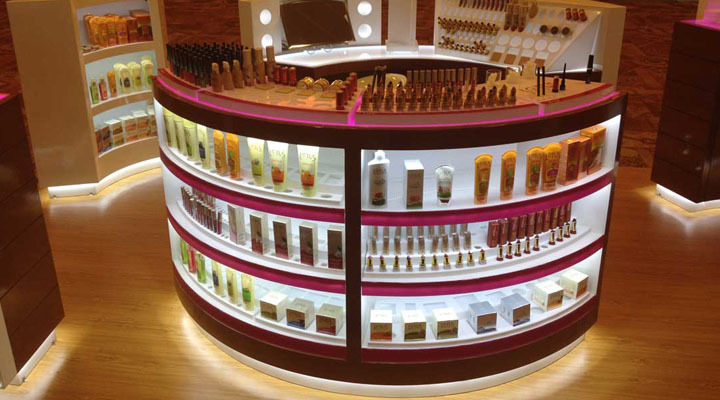 High-gloss lamination has been done on the body and the floor of the kiosk to offer a sense of moistness. 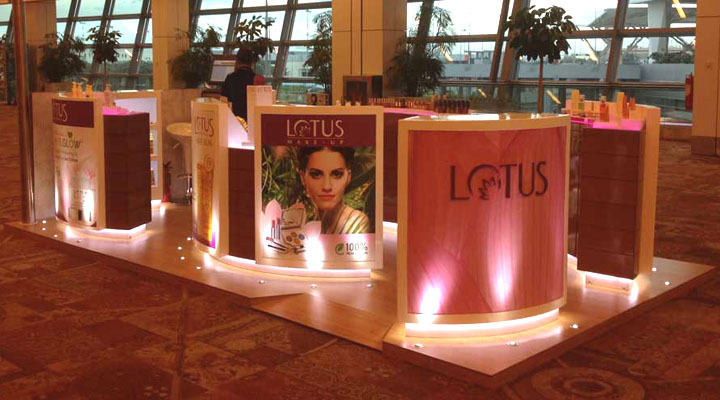 The burial lights and the soft under-lit counter tops add value to the class element!